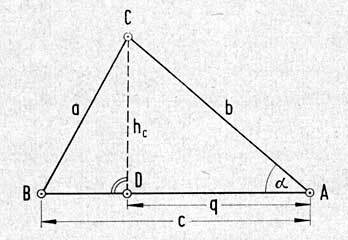 An oblique triangle can be calculated using the law of cosines, if all three sides or else one angle and its two adjacent sides are known. Fig. : Fricke, Richter, Schneider, "Der Vermessungstechniker"